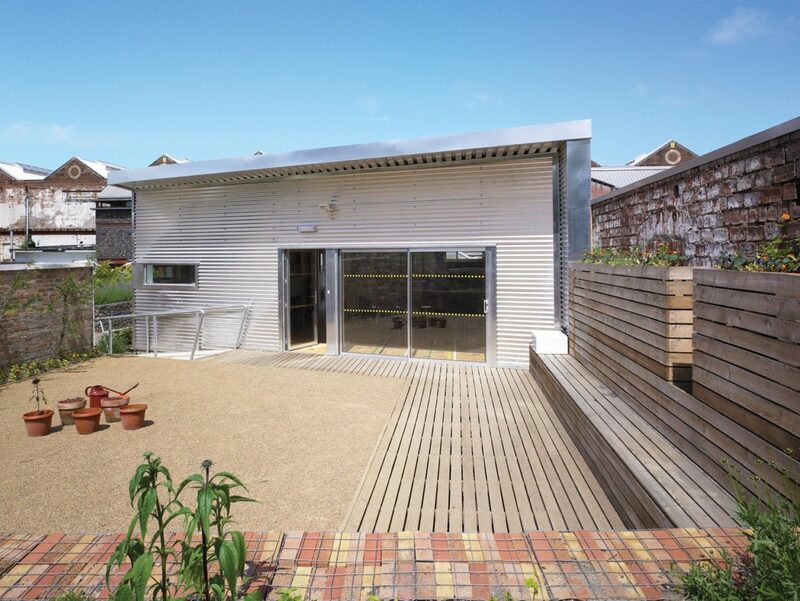 This small community building in the Hidden Gardens at Tramway has been constructed within the existing walls of an old boilerhouse building that used to stand on the site. 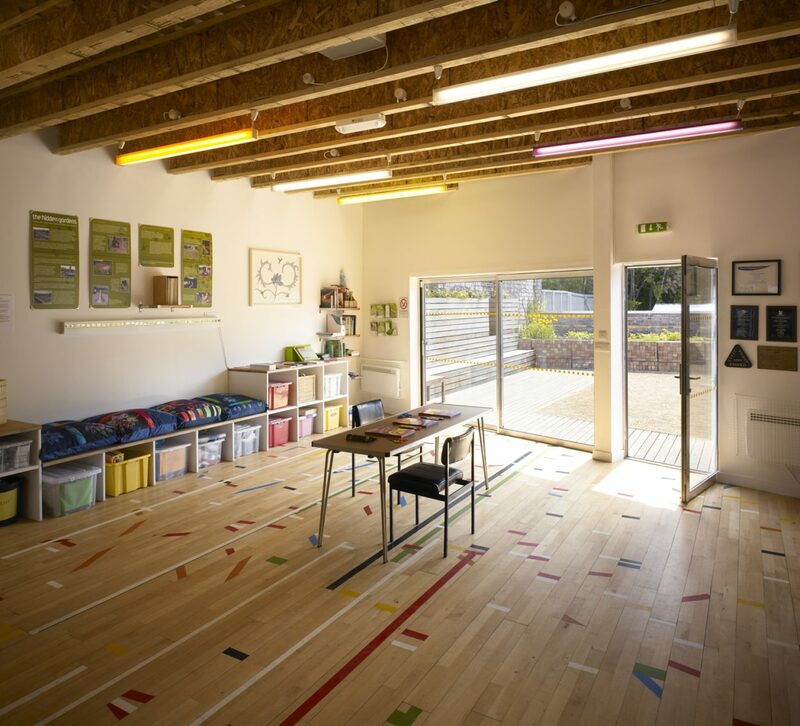 The building creates a focus for a variety of garden based activities organised throughout the year and is designed for both visiting classes of school children and local community groups, providing a distinct, private space from the main Hidden Gardens for these activities to take place. In addition to an internal workspace there are associated kitchen, toilet and office facilities. An enclosed external garden area has been created to allow classes to take place in the open air. Recycled materials have been specified where possible. 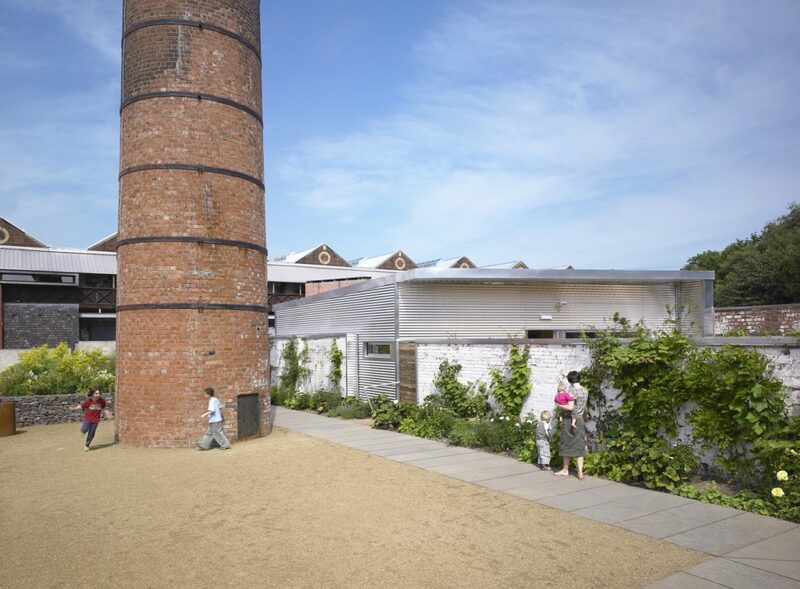 The main floor to the workspace has been created from a reclaimed gym floor, including original line markings, while raised planting beds have been constructed from gabion baskets filled with reclaimed bricks. 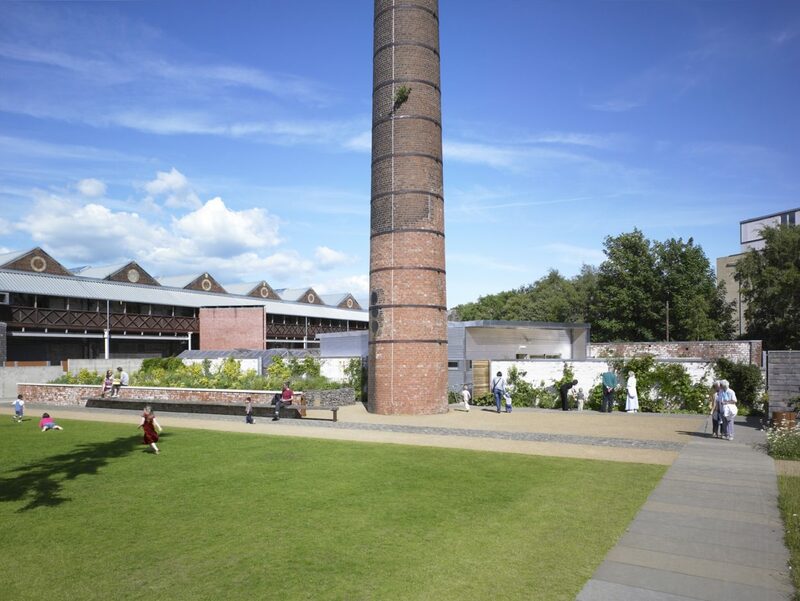 The old boilerhouse walls form most of the external walls to the new building while the remaining walls are clad in profiled aluminium reflecting the industrial history of the site. A septic tank was also installed to minimise the digging up of original cobbles surrounding the building and gardens.